69.5 acres (28.4Ha) of stunning land providing the most picturesque landscape for a potential home site. 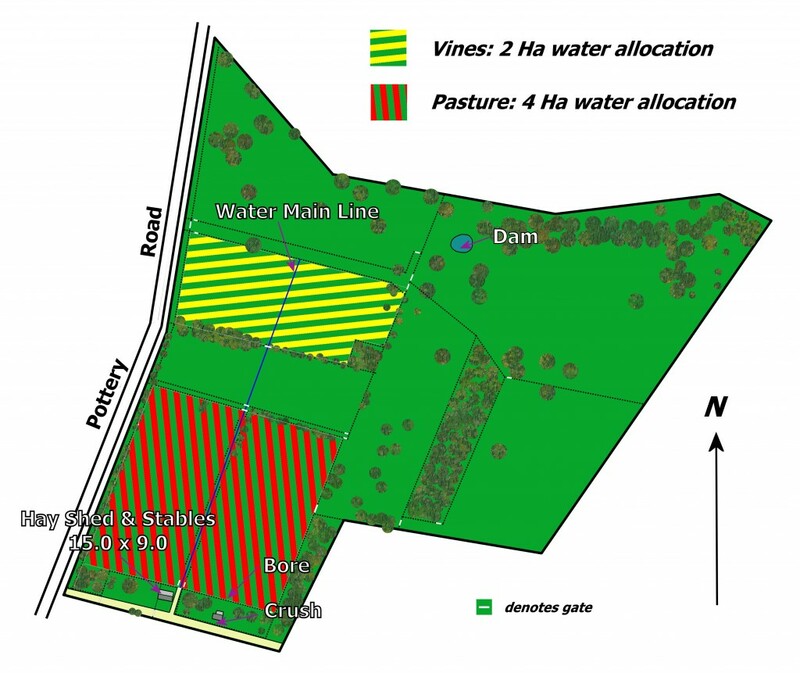 Currently planted with 5 acres of Sauvignon grapes, the property benefits a 2Ha water licence to the vines together with a 4Ha water licence for pasture, a bore (10,000gph) pumping 6,000gph with a 4” main line through the property. Fenced into 8 main paddocks, together with a central raceway for ease of stock movement, and includes a 15 x 9m hay shed with 2 lined stables. A true lifestyle property for those seeking privacy, tranquillity, amazing outlooks and space. Stunning views over the Kuitpo forest and only 10minutes to the Southern vales and 15 minutes to the beach. Wonderful lifestyle option for those with cattle or horses. Rare opportunity to purchase this wonderful property that has been under the same family ownership for the past 60 years.